Widespread dieback of aspen forests, sometimes called sudden aspen decline, has been observed throughout much of western North America, with the highest mortality rates in the southwestern United States. Recent aspen mortality has been linked to drought stress and elevated temperatures characteristic of conditions expected under climate change, but the role of individual aspen tree growth patterns in contributing to recent tree mortality is less well known. We used tree-ring data to investigate the relationship between an individual aspen tree’s lifetime growth patterns and mortality. Surviving aspen trees had consistently higher average growth rates for at least 100 years than dead trees. Contrary to observations from late successional species, slow initial growth rates were not associated with a longer lifespan in aspen. Aspen trees that died had slower lifetime growth and slower growth at various stages of their lives than those that survived. Differences in average diameter growth between live and dead trees were significant (α = 0.05) across all time periods tested. Our best logistical model of aspen mortality indicates that younger aspen trees with lower recent growth rates and higher frequencies of abrupt growth declines had an increased risk of mortality. Our findings highlight the need for species-specific mortality functions in forest succession models. 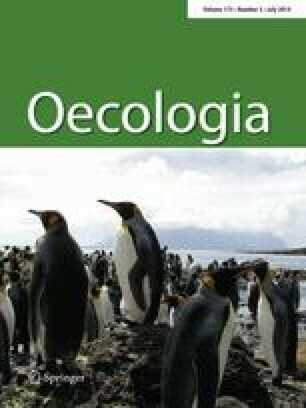 Size-dependent mortality functions suitable for late successional species may not be appropriate for species with different life history strategies. For some early successional species, like aspen, slow growth at various stages of the tree’s life is associated with increased mortality risk. The online version of this article (doi: 10.1007/s00442-014-2951-5) contains supplementary material, which is available to authorized users. We thank staff and students at the Ecological Restoration Institute at Northern Arizona University, especially Don Normandin and Scott Curran. The US Forest Service (USFS) Williams Ranger District of the Kaibab National Forest provided logistical assistance. We benefited from statistical advice from Roy St. Laurent with Northern Arizona University’s Statistical Consulting Lab. We thank Larissa Yocom and Amanda Stan for editorial assistance and Signe Leirfallom USFS Missoula Fire Sciences Laboratory for lab assistance. Mary Lou Fairweather with the USFS Arizona Zone of Forest Health Protection and Carolyn Sieg with the USFS Rocky Mountain Research Station provided logistical assistance. This work was supported by Northern Arizona University’s School of Forestry Mission Research program (McIntire-Stennis), a fellowship through Science Foundation Arizona, USDA Forest Service, Rocky Mountain Research Station Award #08-JV-11221633-244 and USDA Forest Service, Forest Health Monitoring Program, Award #INT-EM-B-10-04, and the Lucking Family Foundation. We also thank three anonymous reviewers for their thoughtful comments, which improved the quality of this manuscript. The sampling and all research complies with the current laws of the country (United States) in which the study was performed.